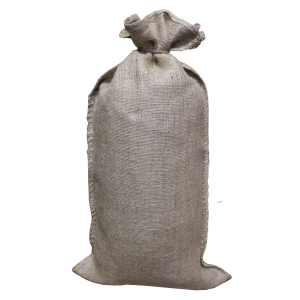 These are 14″ x 26″ burlap sandbags. These sandbags are great for flood barriers and dikes. Free shipping is included with all orders within the continental United States. Additional fees will apply for shipments to Alaska and Hawaii. For overnight and next day shipping options please give us a call at 1-844-699-9470. We offer no refund or exchange for sandbags and bulk bags. Free shipping is included with all orders within the continental United States. Additional fees will apply for shipments to Alaska and Hawaii. Our free shipping service is typically shipped through FedEx OR via LTL Freight. Customers typically receive their order in 3-5 business days. Once your order is processed, you will be supplied a tracking number by our customer service staff. With our next day delivery option your order is typically shipped through FedEx or LTL freight. If order is placed by 3:00PM CST, shipment will be delivered by the end of the next business day. Once your order is processed, you will be supplied a tracking number by our customer service staff. For our next day shipping options please give us a call at 1-844-699-9470 OR email us at customerservice@sandbagexpress.com.